Concussions are serious business. Knees can be replaced, not heads. Take me. I played almost zero organized football, but easily experienced at least three concussions. After the third I was never the same. Just think what this means for serious aspiring athletes. 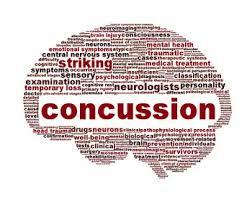 Concussion #1: In the 4th grade it was common practice to climb on top of the monkey bars, grip the top bar palms turned out, and flip over. The hands would be in perfect position after flipping, the feet dangling. It had become so familiar, in fact, so casual, that I neglected to grip the bar enough this one time and landed head first on the mulch. I don’t remember much after that, only waiting outside the Principal’s office for my mother and staring at my Garfield pencil top, which I could not keep from doubling. 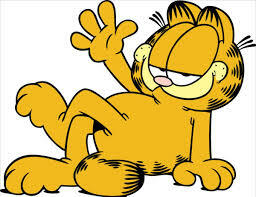 I could not blink away the second Garfield. Concussion #2: Only a few months later I was serving as catcher to warm up one of the other pitchers for our 10-11 year old little league’s baseball team, Paradise Pharmacy. This is what they did in California—the sponsors of the little league teams became the actual team names, often with an image of the store on the cap front. I think I was I was daydreaming about some pretty girl in the stands at a nearby field. My mother might have been asking me if I’d like a cherry or a grape snow cone. I forget. The pitcher threw one of his rare strikes, a little high but on a straight line, and right against my temple. Stars went to black. When I came to, I was flat on my face, gripping the grass with both hands, and kicking my legs. Then I stopped kicking my legs. This scared everyone, but I was actually gaining a little control. For the rest of the evening I had two mothers. I held two baseballs in four hands. When I looked out my window that night, I saw eight of me reflected back. Concussion #3: The trauma that most refer to as the moment my personality took a dramatic turn for the worse occurred three years later, at the age of 13. I was riding my bike back from the local mall with my friends. My tire slipped on a slick, yellow-coated speed bump. This is what they later explained. I have no memory of the day. They say my head struck the speed bump and that I sprang up cursing. My two neighborhood buddies say I rode home mad the rest of the two miles and then passed out on my front lawn–foreshadowing other youthful folly. I recall waking up strapped down in a narrow white tunnel and wondering if I had died. Worse, I was in a Cat Scan, and soon felt that I couldn’t catch my breath. I began struggling with the harness and when no one came, began demanding that they remove me. “We’re almost through,” they kept saying. The damage was done. Not long after, I began to sit around and play Nintendo and Sega video games obsessively, and was never quite the same either as a student or an athlete. It’s easy to consider the NFL safety measures with cynicism. It’s true they’re trying to save their skin from further lawsuits. It’s true that we seem to have lost the role of the Strong Safety and some of those midfield defensive warriors are my NFL heroes (ie—Ronnie Lott and John Lynch). It’s also true that the calls of late are subjective and confusing. However, if we’re going to stay in love with the brutal sport known as football, we should do so free from the guilt that we are witnessing other people destroy their faculties. Bodies are one thing. Head trauma is another. Junior Seau’s brain was given to science to help the cause of the debilitating types of head injuries. Take it from someone who had just three little accidents, and now can never make up his mind about anything, and who slurs when he becomes very tired.